The “Broadband China” initiative also hopes to attract investors in the domestic IT sector. The Chinese government has announced plans to expand full broadband coverage across the nation’s rural and urban areas by 2020. The State Council, China’s cabinet, released the “Broadband China” initiative over the weekend. The multi-pronged strategy will aim for several milestones before the 2020 deadline. The first is providing Wi-Fi coverage in “key public urban areas” by the end of this year. 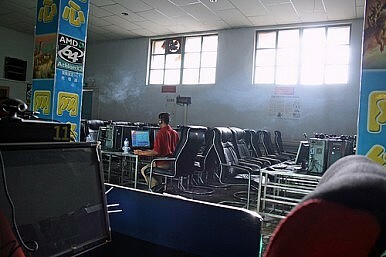 The next goal is to bring fixed broadband connections to half of Chinese households – about 400 million – by 2015. “The speed of urban and rural broadband accesses will reach 50 and 12 [Mbps] respectively by 2020. The broadband coverage in administrative villages is expected to reach 95 percent by 2015 and 98 percent by 2020,” reported Technode. Government officials hope that expanding Internet coverage will boost domestic demand for it – along with the devices that utilize Web connections – and thus fuel economic growth. Last year, Chinese telecommunications firms invested 370 billion yuan ($60.4 billion) in broadband expansion. An additional 130 billion yuan ($21.2 billion) was added to the push by private Web-focused investors. “The program may not only boost domestic sales of smartphones and PCs, but also drive more investment to IT companies in the nation,” explained PC World. Regardless, China’s bold new Internet initiative is arriving later than those introduced in other countries. “China’s broadband network reportedly slides one spot from five years ago to the 78th in 2011 – lagging far behind the international level. Lots of developed countries rolled out state broadband strategic plans after the financial crisis … Japan provides interest-free loans to broadband operators and Sweden’s government paid for 50 percent of the broadband construction cost in rural areas,” Technode added. On top of simply expanding coverage, the Chinese government is also planning to bring gigabit internet speeds to major cities by 2020. Gigabit service can reach speeds of 1000 Mbps. China also plans to roll out licensing for “4G” wireless networks, aimed at mobile devices such as smartphones and tablets, by the end of this year. The Chinese state's attempt to regulate the country's Internet finance industry could have unpredictable consequences.